Formed in Chicago out of folk-punk outfit Friends of Betty, Red Red Meat consisted of Tim Rutili (vocals, guitars) and Glynis Johnson (bass, vocals), Brian Deck (drums) and guitarist Glenn Girard. They released their first single, Snowball, in 1991, and their eponymous debut LP in 1992, which was released on their own Perishable records imprint. In the winter of 1992, lawyer Tim Hurley was welcomed into the fold as the new permanent bass player. 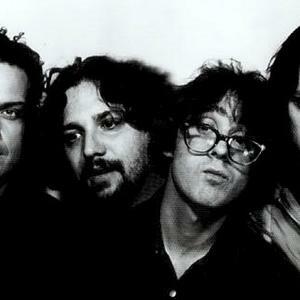 In 1993, riding on the popularity of their song "Flank," the band signed to Seattle's thriving Sub Pop label, which released their following three albums: The group's debut effort for the indie label, 1993's Jimmywine Majestic, 1995's Bunny Gets Paid, and 1997's There's a Star Above the Manger Tonight. There's a Star Above the Manger Tonight proved to be the band's final album for Sub Pop. Red Red Meat unofficially disbanded later that year while Rutili and Massarella revived their Perishable records imprint as a vehicle for future recordings by the mangled Red Red Meat lineage.